Last season's NCAA Tournament was as competitive and enjoyable as it has ever been, but the gap between what can be referred to as college basketball's 7 power conferences and the other 25 appears to be getting larger, with the mass migration of high end graduate transfers to those power conferences being an emerging factor. 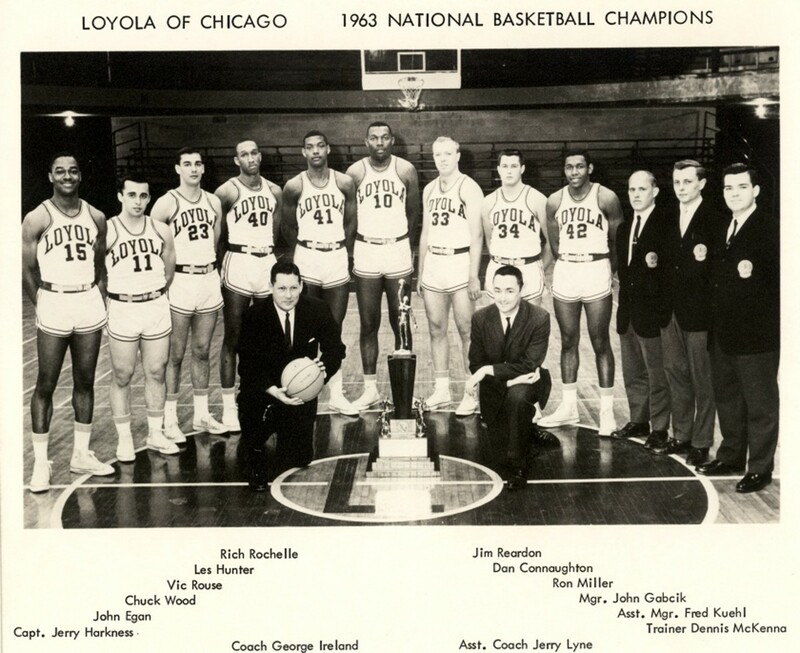 Although a team from outside that group did play in the Championship game, that team, Gonzaga, was the only one from outside of the power conferences to advance as far as the Sweet 16, and the title was ultimately won by a blue blood. Overall, last year's Tournament saw only 3 teams from outside the power conferences receive at large berths; with Wichita St. moving to the AAC and the WCC being hit hard by graduation and NBA departures, that trend is likely to continue. Some proponents of the power conferences (Jay Bilas at ESPN, for example) have been against the presence of many of the smaller conferences in Division I and in the NCAA Tournament for years (there were 352 Division I teams last season including Grand Canyon, which admittedly might be a little out of control); as the competitive balance continues to degrade, they may eventually get their wish. Here's a quick glance at some of the teams to beat heading into the season, almost completely devoid of small conference representation. Christmas came in April for Tom Izzo and the Spartans. Tom Izzo received one of the best postseason gifts in college basketball when forward Miles Bridges (16.9 ppg., 8.3 rpg., 1.5 bpg., 38.9% 3pt. ), a certain lottery pick, decided to return for his sophomore year. All four members of last year's loaded recruiting class were living up to expectations by season's end, and they will now be joined by top 10 recruit and projected top 10 pick Jaren Jackson. 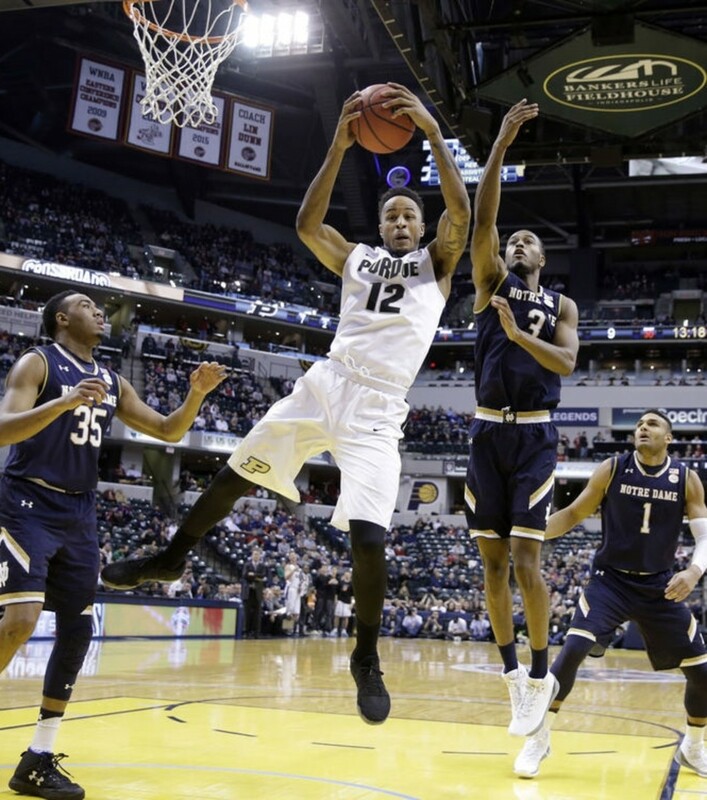 At 6-11, Jackson is a high end stretch 4 that will complement bruising center Nick Ward (13.5 ppg., 6.5 rpg., 1.5 bpg. in just 19.8 mpg.) perfectly. The Spartans will have all kinds of perimeter shooting, a point guard that was remarkably efficient as a freshman in Cassius Winston (6.7 ppg., 5.2 apg., 38.0% 3pt. ), and should be among the premiere rebounding teams in the country. While the starting lineup will likely be made up of four sophomores and a freshman, Izzo will also have veterans like seniors Lourawls Nairn and Gavin Schilling to turn to off the bench. 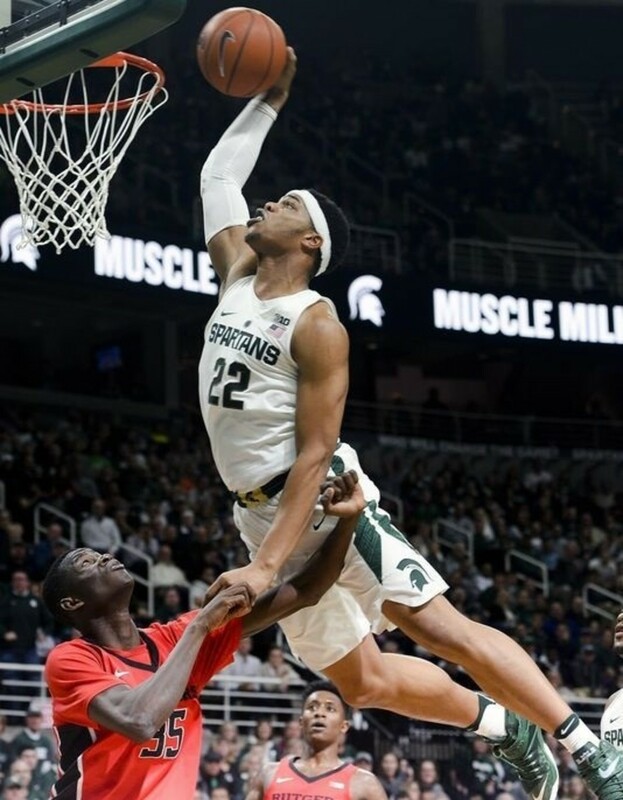 Michigan State's version of a rebuild, which somehow still managed to include an NCAA Tournament berth and First Round victory, appears to have ended as quickly as it began, and the Spartans should be considered the favorite to win the NCAA Championship. For more information on the Blue Devils, please check out my ACC Basketball Preview. Landry Shamet helped keep Wichita State from falling off the map following the graduation of Fred VanVleet and Ron Baker. Gregg Marshall's Shockers return every major contributor except backup point guard Daishon Smith, who should be capably replaced by a similar junior college recruit in Samajae Haynes-Jones. 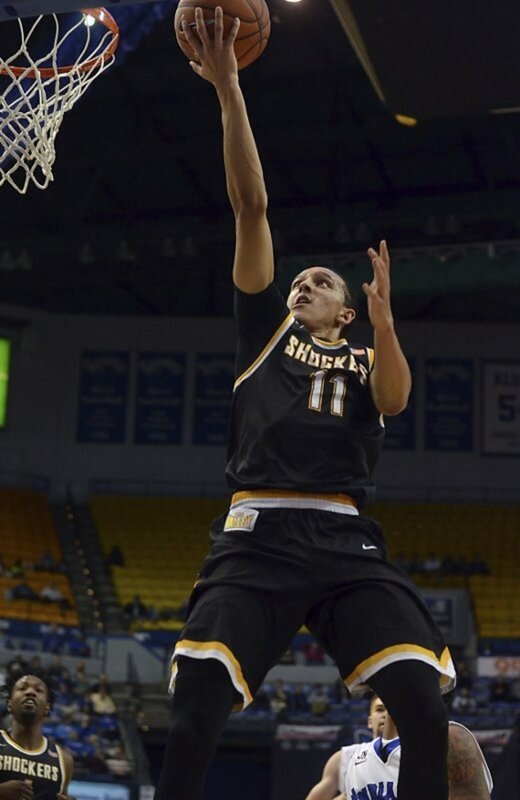 The most important development should come from sophomore point guard Landry Shamet, who seemingly came out of nowhere as a redshirt freshman to adequately and impressively replace Fred VanVleet. Shamet (11.4 ppg., 43.9% 3pt.) provides the team with a clutch shooter and he's tremendously efficient with the basketball (he posted a 3 to 1 assist to turnover ratio; the team finished 14th). The team will have plenty of shooting (8th in 3pt% last season) and size, and will of course play outstanding defense (4th in fg% defense, 19th in 3pt.% defense, and 2nd in rebounding margin). The Shockers should also benefit from the improved competition their move to the AAC will bring, which will make them that much more ready to compete by March. Marshall has taken Wichita St. to at least the second round and as far as the Final Four over the past five seasons, and this could be his best team to date. 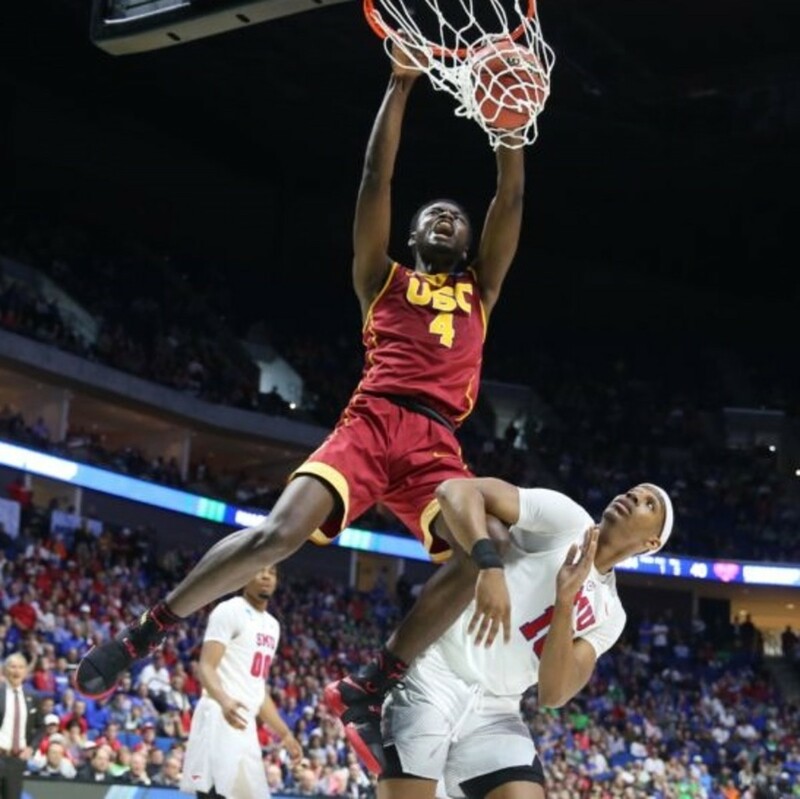 Chimezie Metu and Bennie Boatwright are longer, more mobile versions of the original Dunk City frontcourt of Chase Fieler, Eric McKnight, and Eddie Murray. Andy Enfield returns every major contributor to a team that won two NCAA Tournament games a year ago, including athletic forwards Bennie Boatwright (6-10; 15.1 ppg., 4.5 rpg., 36.4% 3pt.) and Chemezie Metu (6-11; 14.8 ppg., 7.8 rpg., 1.5 bpg. ), point guard Jordan McLaughlin (12.9 ppg., 5.5 apg., 40.2 % 3pt. ), and wing Elijah Stewart (12.3 ppg., 38.6% 3pt.). He also adds a ton of talent, including transfer Derryck Thornton and top 30 recruit Charles O'Bannon Jr.. Thornton was a top 20 recruit that chose to be an early college entrant at Duke. Early entrance hasn't really benefited anyone much to this point (except Andre Drummond, who was already gigantic), but Thornton was able to earn 26 minutes a game at point guard under Mike Kzyzewski, which is no easy task. He should be ready to make a major contribution as a 19 year old for the Trojans, who were already taking great care of the basketball (19th in assist to turnover ratio). Andy Enfield's teams have actually overachieved relative to their talent level at times, and this Trojan team will have as much talent as anyone. A Final Four run should be a very real possibility. For more information on the Cavaliers, please check out my ACC Basketball Preview. DeAndre Ayton will require a different offensive approach than Lauri Markkanen. This will obviously be a very different Arizona team (particularly with the departure of stretch 4 Lauri Markkanen), but by adding 7-0 freshman DeAndre Ayton, arguably the number 1 recruit in the country and a projected top 5 pick in next year's draft, to star junior Allonzo Trier (17.2 ppg., 5.3 rpg., 39.1% 3pt. ), sophomore Rawle Alkins (10.9 ppg., 4.9 rpg., 37.0% 3pt. ), and two additional top 40 wings that can shoot, Sean Miller will keep the Wildcats in the Final Four conversation. Arizona was criticized for not having a true point guard last season, but realistically senior Parker Jackson-Cartwright (5.9 ppg., 4.1 apg. ), who came off the bench following Trier's midseason return from suspension, posted a better than 3 to 1 assist to turnover ratio and hit 42.3% of his 3's. 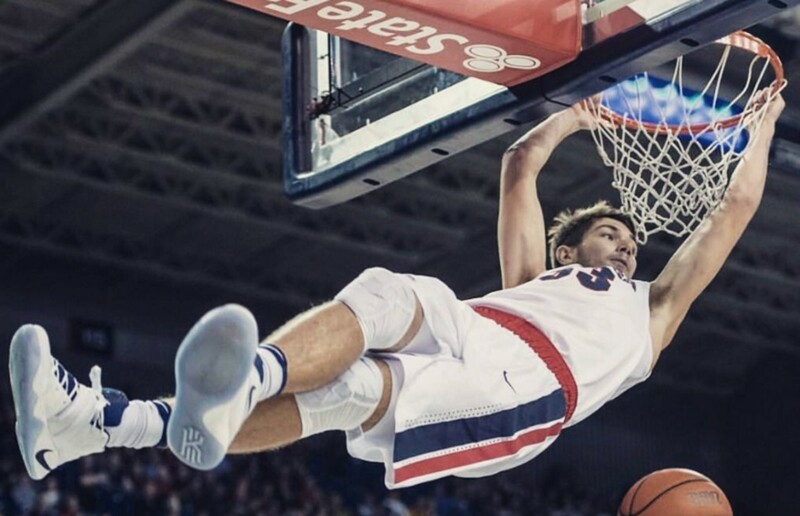 He doesn't look to score often, but along with top 100 recruit Alex Barcello he should be able to get the ball to Ayton, and the Wildcats will be able to play from the inside out like it's 1999. 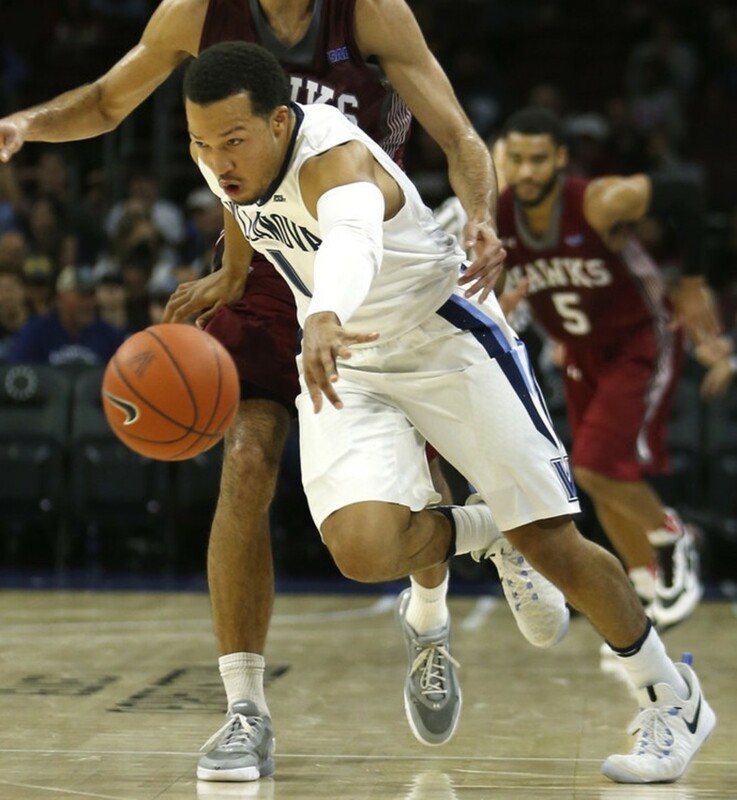 Jalen Brunson's come a long way since Villanova's National Title. Despite the departure of the two biggest names on the roster, Jay Wright has quite a bit of returning talent. Jenkins replacement may actually be an upgrade; Omari Spellman, a top 20 recruit a year ago that was ruled academically ineligible, can shoot from the outside like Jenkins, but at 6-9, 275, he will provide the Wildcats with significantly more production on the boards. Josh Hart's production, and leadership, will be missed a bit more, although Mikal Bridges (9.8 ppg., 4.6 rpg., 39.3% 3pt.) and Donte DiVincenzo (8.8 ppg., 36.5% 3pt.) should be ready to take on larger roles. Without the benefit of any senior leadership, this becomes junior point guard Jalen Brunson's (14.7 ppg., 4.1 apg., 37.8% 3pt.) team, and that isn't a bad thing. The return of a healthy Phil Booth, who scored 20 points in Villanova's Championship win versus North Carolina two years ago, should ease Brunson's load. The Wildcats should again be the class of the Big East, which might actually take a step back this year with major turnover at Butler, Creighton, and Marquette. 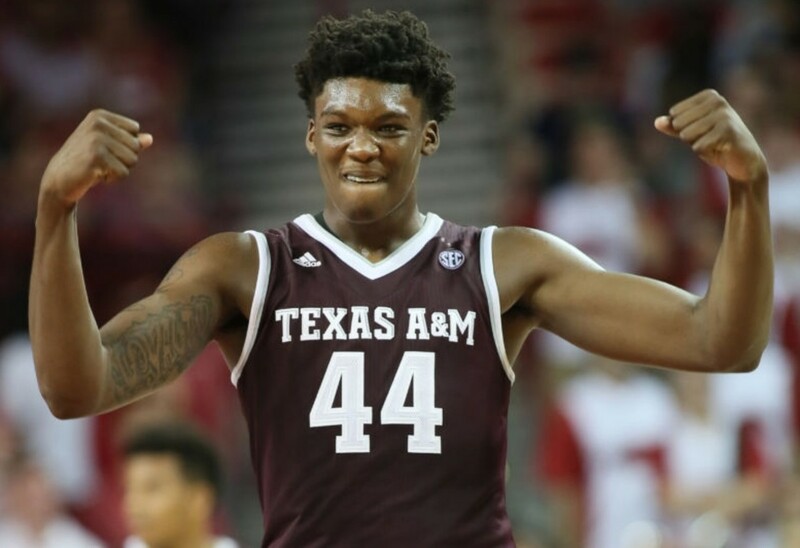 An opportunity to play in the NCAA Tournament had to be a consideration in Robert Williams' decision to return to Texas A&M. Departures: J.C. Hampton (6.7 ppg., 41.3% 3pt.) and Tavario Miller graduated. Texas A&M struggled mightily in the wake of the loss of a great senior class from their 2016 Sweet 16 team, as they found themselves playing without a true point guard after J.J. Caldwell was ruled ineligible and without many perimeter scoring options after DJ Hogg's injury in February (the Aggies finished 273rd in 3pt.%). Caldwell, a top 60 recruit a year ago, should be available, and Billy Kennedy also added two four star combo guards in this year's class. That should allow Admon Gilder (13.7 ppg., 37.7% 3pt. ), a solid scoring guard, to move to his more natural position, and with the 6-9 Hogg (12.0 ppg., 5.1 rpg., 3.4 apg., 36.7% 3pt.) at small forward shooting shouldn't be quite as much of an issue anymore either. Most importantly, the Aggies return Robert Williams (11.9 ppg., 8.2 rpg., 2.5 bpg. ), who would have been a lottery pick had he entered the draft, at power forward, and he will combine with junior Tyler Davis (14.1 ppg., 7.0 rpg.) to form one of the most imposing frontcourts in the country (35th in rebounding margin, 7th in bpg. a year ago). Texas A&M will defend (24th in fg% defense), and Billy Kennedy has seven total top 100 recruits of his own; with them, the Aggies should compete at the top of an improved SEC. 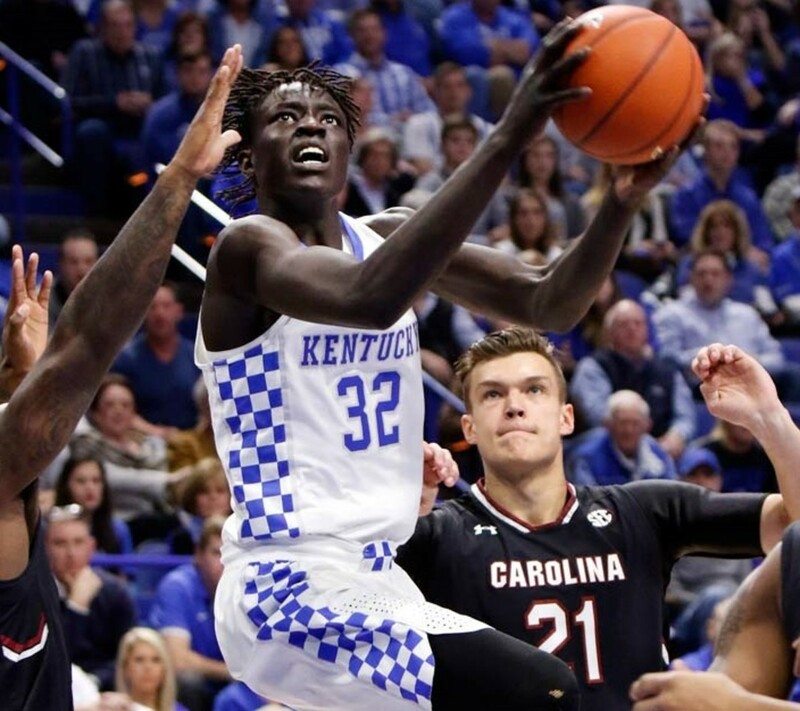 Wenyen Gabriel represents 676 of the 762 total minutes of Division I experience likely members of Kentucky's rotation will have when the season begins. With the surprising departures of Isaiah Briscoe and Isaac Humphries, John Calipari will be left to to deal with a hyperbolic version of his standard blueprint of reloading with one and dones each year. This Kentucky team will be one sophomore short of being the youngest college basketball team possible, with only Wenyen Gabriel returning to provide any Division I experience (Sacha Killeya-Jones is also still around, but he wasn't a part of the rotation as a freshman). On the bright side, the Wildcats will feature 8 five star recruits (including the sophomores) and two additional top 100 recruits to compete for playing time, and, for the first time since signing John Wall and Eric Bledsoe in his first year at the school, Calipari will welcome two highly regarded point guards in top 25 prospect Quade Green and top 40 prospect Shai Gilgeous-Alexander so that, if one of them isn't ready, there will be a contingency plan. The SEC should be the strongest it has been in years, so Kentucky should become battle tested in conference play, and given Calipari's track record the team could again be a Final Four contender by March. Igor Koulechev plays with the sort of high motor that will fit in perfectly to Florida's defense. Florida will feature one of the better veteran backcourts in the country with the return of leading scorer KeVaughn Allen (14.0 ppg., 37.0% 3pt.) and senior Chris Chiozza, who posted 10.3 points, 4 rebounds, and 4.1 assists per game while shooting 38.7% from 3 over Florida's final 15 games. The Gators also welcome a strong recruiting class featuring three top 100 recruits (one of whom, Isaiah Stokes, younger brother of Darnell, must recover from a knee injury), and Virginia Tech transfer Jalen Hudson becomes eligible as well. If the Gators are going to be a serious threat in the NCAA Tournament, however, Mike White will need 6-5 graduate transfer Egor Koulechov to help replace the offensive production of Robinson, Barry, and Leon by at least approaching his own production at Rice, where he posted an impressive stat line of 18.2 points and 8.9 rebounds per game while shooting 47.4% from 3. The Gators won primarily through defense last season (36th in fg% defense, 10th in 3pt.% defense) and Robinson and Leon will also be missed at that end, but Kevarrius Hayes (1.7 bpg. in just 18.3 mpg.) should see an expanded role after a strong showing at that end as a sophomore. Last season was actually Mike White's first appearance in the NCAA Tournament, but there is every indication that it will be a continuing trend, and the Florida men's basketball program may not suffer as much from Billy Donovan's departure as it first appeared. For more information on the Hurricanes, please check out my ACC Basketball Preview. 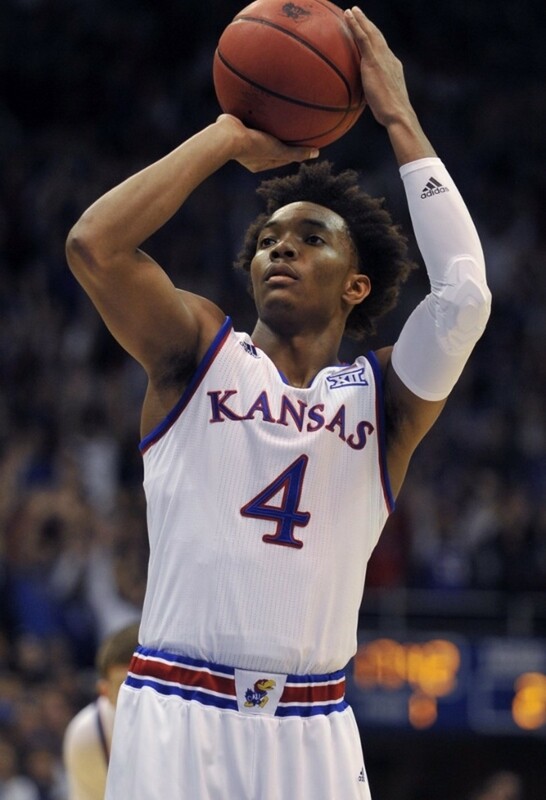 Devonte Graham will get to take a much larger share of the big shots this year. Departures: Frank Mason (20.9 ppg., 4.2 rpg., 5.2 apg., 47.1% 3pt.) was a 2nd Round draft pick; Josh Jackson (16.3 ppg., 7.4 rpg., 37.8% 3pt.) was the 4th pick in the NBA Draft; Landen Lucas (8.0 ppg., 8.3 rpg.) graduated; Carlton Bragg (5.2 ppg., 4.1 rpg.) transferred to Arizona St.
Frank Mason was outstanding as a senior, but Devonte Graham (13.4 ppg., 4.1 apg., 38.8% 3pt. ), his backcourt mate for the last three years, is also a natural point guard and probably can't wait for the chance to run the show. Sviatoslav Mykhailiuk (9.8 ppg., 39.8% 3pt.) and Legerald Vick (7.4 ppg., 37.0% 3pt.) have the potential to provide more scoring, and the Jayhawks will also welcome transfer Malik Newman, a former top 5 recruit that averaged 11.3 ppg. and shot 37.9% behind the arc in his lone year at Mississippi St.. Bill Self has been extremely reluctant to play his highly regarded freshman big men over the past few years (see former five star recruits Carlton Bragg, Cheick Diallo, and Cliff Alexander), but with the departure of Jackson and graduation of Lucas he will have little choice other than to give 6-10 Billy Preston, a top 20 recruit, and redshirt freshman Udoka Azubuike, a top 40 recruit a year ago, all the minutes they can handle, which could actually be a source of excitement for Kansas fans (I would certainly want to see what they can do). Offensive efficiency is likely to take a hit with only one point guard starting in the backcourt instead of two, but the Jayhawks will again be a strong favorite to win the Big 12. Matt Coleman should make Andrew Jones' jumpshot look much more appealing to the NBA. 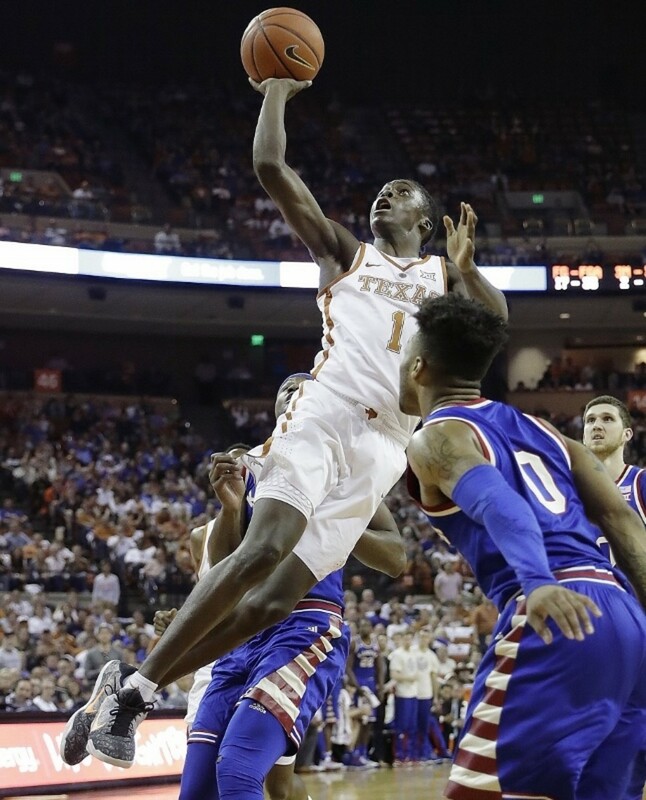 Shaka Smart's Longhorns were one of the biggest disappointments in the country last season, and the primary reason was fairly simple: the team could not shoot the basketball (206th in overall fg%, 342nd in 3pt%). Nothing hurts shooting more than bad (or nonexistent) passing, and the Longhorns were playing without a point guard (they were also 297th in assist to turnover ratio), which means that their most important arrival may actually be point guard Matt Coleman, a top 40 recruit that will provide quickness off the dribble and an ability to create looks for his teammates. The freshman class also includes 6-5 Jase Febres, one of the nation's premiere incoming shooters, and the slew of talented returning wings should benefit from Coleman's presence as well. 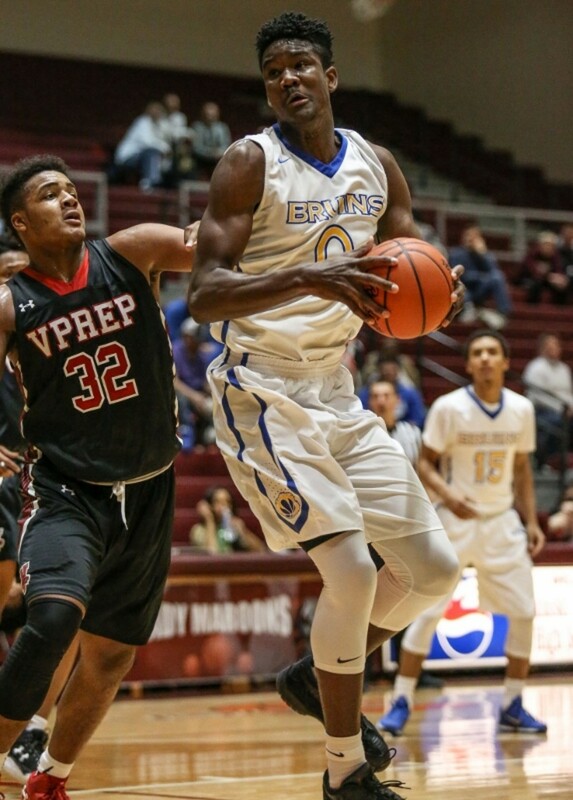 The most prominent member of the freshman class will of course be 6-11 Mohamed Bamba, a top 5 recruit and projected top 5 pick that is extremely athletic, can knock down a midrange jump shot, and has a longer standing reach than Rudy Gobert. Texas wasn't beating anyone on the boards either (250th in rebounding), and Bamba should go a long way towards correcting that, while his presence should make things easier for the perimeter players to find shots as well. With Bamba and three other highly regarded big men all offering length and athleticism along the front line, and with the graduation of Shaquille Cleare, the last remaining widebody held over from the Rick Barnes era, Smart now has all of the personnel he needs to be able to return to the Havoc defense that he popularized at VCU and still have two big men on the floor at all times. While it's still a young group, this team features 10 former top 100 recruits, including 8 that were in the top 50, all of whom offer the same type of defensive potential as the players that landed Shaka Smart a job at Texas in the first place. The Longhorns should improve significantly at the offensive end while providing a major disruption at the defensive end, and, at the very least, return to the NCAA and perhaps win a game or two there. At 6-8, 235, Dererk Pardon held his own in the paint, grabbing 8 boards a game for a Big Ten team. Northwestern was the feel good story of last year's NCAA Tournament, making the field for the first time in school history and managing a first round victory before falling to Gonzaga. Despite the success, Northwestern actually has remarkably little talent coming in other than transfer A.J. Turner, who won't be eligible until next season. However, two medical redshirts, 6-8 former top 80 recruit Aaron Falzon (8.4 ppg., 35.4% 3pt. as a freshman two years ago) and 6-9 top 70 recruit Rapolas Ivanauskas, should return, so even without any impact freshmen or transfers Northwestern should actually be more talented than they were a year ago. Collins may need a second trip to the Tournament to solidify his program as a destination for high end talent, but with his top five scorers returning, a stingy defense (23rd in fg% defense), an offense that takes care of the ball (16th in assist to turnover ratio), and the addition of the medical redshirts that should help with shooting, there is every reason to believe he will be able to do so. Kristian Doolittle's freshman performance was one of the bright spots for the Sooners last year; his first semester academic suspension this season won't be. Oklahoma was destined for a rebuilding year following the departures of Buddy Hield, Isaiah Cousins, and Ryan Spangler. Jordan Woodard in particular struggled to create without Cousins serving as the primary ballhandler, and the team's offensive efficiency plummeted. That issue should be resolved quickly with the addition of Trae Young, the first 5 star recruit Lon Kruger has signed at Oklahoma. Young is a true point guard with game altering range that will make everything easier for the rest of the Sooners at the offensive end. Kameron McGusty (10.9 ppg., 35.2% 3pt.) and Kristian Doolittle (9.1 ppg., 6.2 rpg., 39.5% 3pt.) 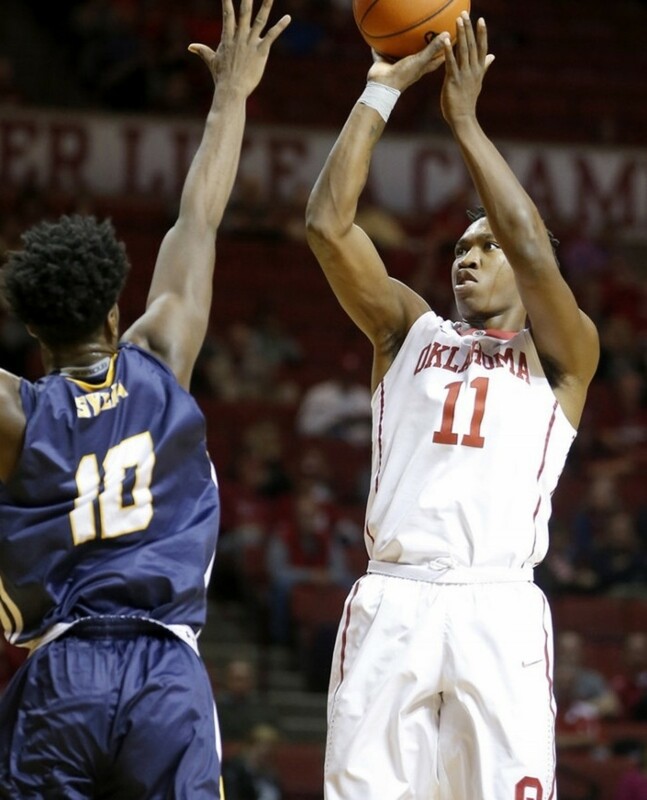 were bright spots for the Sooners and freshman and, along with juniors Rashard Odomes (10.1 ppg., 4.4 rpg.) and Christian James (7.9 ppg. ), should benefit from Young's arrival. With the addition of Young, a maturing and talented group of wings, and plenty of length and athleticism in the post to provide rebounding and rim protection, Kruger should have the Sooners back in the NCAA Tournament after a one year absence. For more information on the Tar Heels, please check out my ACC Basketball Preview. Vincent Edwards should receive some well deserved attention as a senior. Caleb Swanigan put up incredible numbers as a sophomore, but Matt Painter still returns the entire perimeter from a team that was 17th in the country in assist to turnover ratio and 9th in 3pt. percentage. He also still has a very capable stretch 4 on the roster in senior Vincent Edwards (12.6 ppg., 4.9 rpg., 3.2 apg., 42.3% 3pt. ), who will see substantially more opportunities to score. Purdue found themselves unable to play two slow-footed big men together late in the season, but the temptation won't exist without Swanigan. 7-2 senior Isaac Haas (12.6 ppg., 5.0 rpg. in just 19.5 minutes) saw his minutes limited due to the poor fit beside Swanigan, so he should receive more chances as well; his rebounding should go up (although the team will certainly fall off from last season when they were 19th in rebounding margin), and he is a solid post scorer. For more information on the Irish, please check out my ACC Basketball Preview. Kyle Washington fit in right away after transferring from NC State. Cincinnati put up a gaudy record in the AAC a year ago, and they may begin to attract more national attention with the addition of Wichita State to the conference. 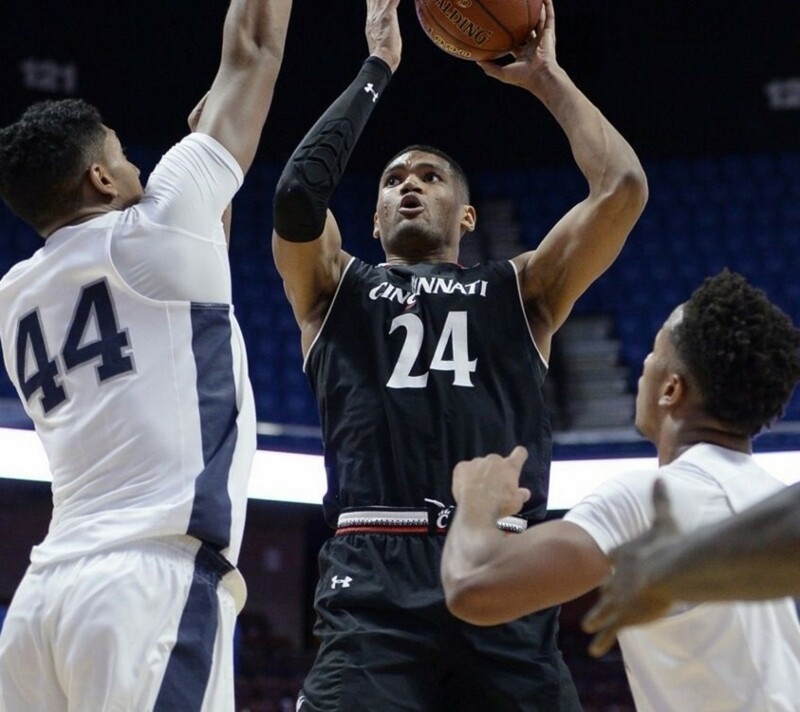 The Bearcats will feature one of the best veteran frontcourts in the country with junior Jacob Evans (13.5 ppg., 4.2 rpg., 41.8% 3pt.) and seniors Kyle Washington (12.9 ppg., 6.8 rpg., 35.7% 3pt.) and Gary Clark (10.8 ppg., 7.9 rpg.) all returning. Sophomore Jarron Cumberland (8.3 ppg., 35.5% 3pt.) should emerge as a dangerous perimeter threat, although transfer Cane Broom, who averaged 23.1 at Sacred Heart two years ago, seems likely to put up his share of shots. Caupain's departure will make it difficult for the Bearcats to take care of the basketball as well as they did a year ago (they were 5th in assist to turnover ratio), but Justin Jenifer (37.8% 3pt.) should be ready to assume the bulk of Caupain's minutes at point guard after posting a nearly 4 to 1 assist to turnover ratio and shooting better behind the arc in limited minutes as a sophomore. Although the loss of Caupain and Johnson may also hurt the Bearcats defensively, Mick Cronin's team should still excel at that end as they always do (9th in fg% defense and 44th in rebound margin a year ago), while the offense could actually improve with better shooting. For more information on the Cardinals, please check out my ACC Basketball Preview. 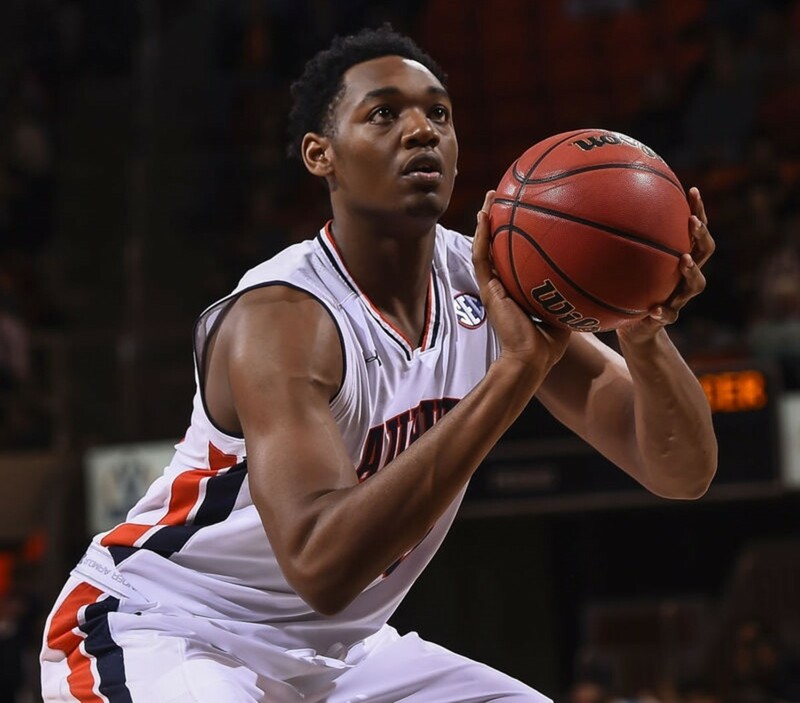 Austin Wiley wasn't quite through growing as an early entrant; he's now up to 6-11, 260 pounds. Bruce Pearl's rebuild at Auburn may be taking slightly longer than expected, but he remains popular with players and the talent level continues to improve. Austin Wiley (8.8 ppg., 4.7 rpg., 1.3 bpg. ), who played during the spring after graduating high school early, should play more like the top 20 recruit he was originally slated to be now that he's reached the age of most freshman, while last year's highly regarded freshmen Mustapha Heron (15.2 ppg., 6.1 rpg., 42.3% 3pt.) and Jared Harper (11.4 ppg., 3.0 apg.) should be significantly better as sophomores. In addition to two top 40 freshman recruits, Pearl will also welcome highly regarded transfer DeSean Murray from Presbyterian, who put up 20.2 points, 7.4 rebounds, and 2.0 steals per game as a sophomore two years ago. Depending on the final disciplinary measures taken by the NCAA regarding Wiley and Daniel Purifoy following an FBI probe, Auburn will be young but talented and not entirely without experience, and this should probably be the year Pearl takes them back to the NCAA Tournament, where they haven't been since 2003 under Cliff Ellis. 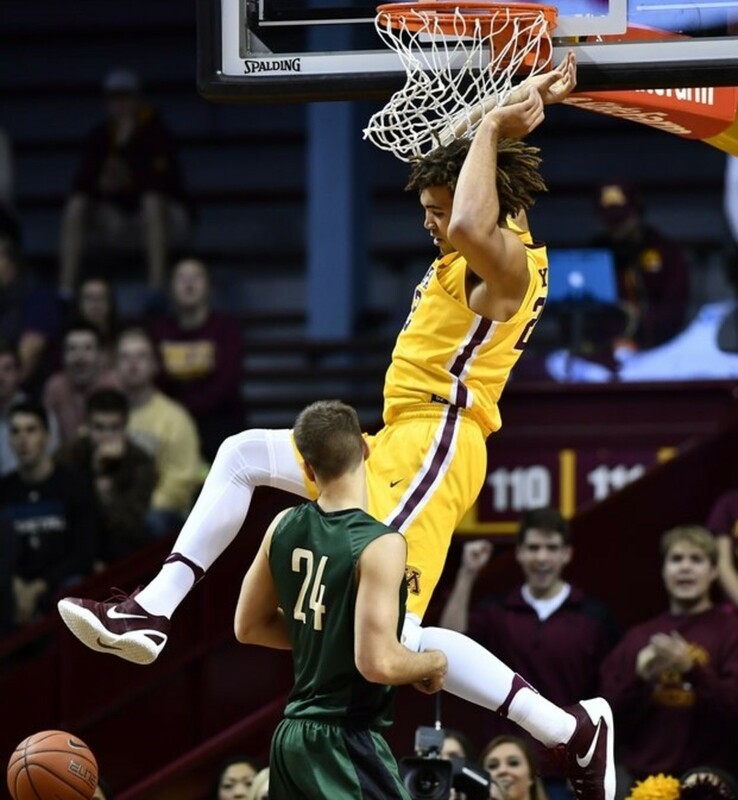 Reggie Lynch dominates the defensive paint for the Gophers. Minnesota's accomplishments were somewhat overshadowed by the historic success at Northwestern, but they were very good last year. The Gophers were also quite young, so there is definitely room for improvement, particularly from sophomore Amir Coffee (12.2 ppg.). The team may not shoot very well from behind the arc (216th in 3pt. fg% a year ago with no incoming shooters), but they will defend as well as anyone (16th in fg% defense, 15th in 3pt.% defense, 1st in bpg.) with Big Ten Defensive Player of the Year Reggie Lynch (8.4 ppg., 6.1 rpg., 3.5 bpg.) protecting the paint, and they will take care of the basketball (38th in assist to turnover ratio) with senior Nate Mason (15.2 ppg., 5.0 apg., 36.0% 3pt.) orchestrating the offense. The Gophers drew the short straw by being matched up with a dangerous and accomplished Middle Tennessee team in the first round of last year's Tournament, but with an older and more experienced group Richard Pitino's team should see more success in March. Nana Foulland will be one of the better returning post players in the country. If you're looking for the small conference team that played well in the NCAA Tournament and returns everyone (i.e. 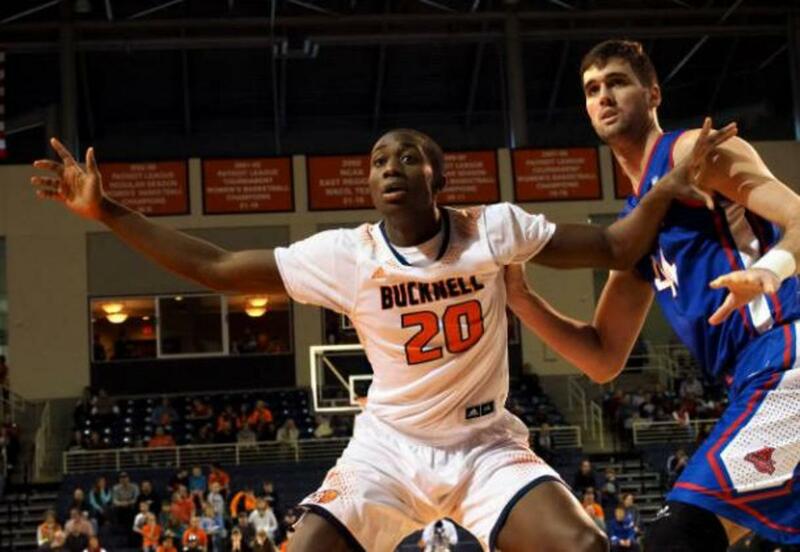 this year's Middle Tennessee), it's Bucknell. In this case, everyone includes four (two first team, one second team, and one third team) All-Patriot League players: 6-7 senior forward Zach Thomas (15.9 ppg., 6.6 rpg., 3.4 apg., 40.9% 3pt. ), 6-9 senior center Nana Foulland (15.0 ppg., 7.8 rpg., 2.1 bpg. ), senior point guard Stephen Brown (11.1 ppg., 4.8 apg., 40.2% 3pt. ), and junior guard Kimbal Mackenzie (11.9 ppg., 41.0% 3pt). While they didn't manage to pull the upset against West Virginia, holding up against the Mountaineers pressure to have a chance to win late was an impressive feat, and they will be heavy favorites to earn another chance in this year's tournament. With another year to add strength and plenty of minutes available, Killian Tillie will have an excellent opportunity to make a name for himself as a sophomore. Gonzaga faces a major overhaul after breaking through Mark Few's personal glass ceiling last season, but there's still plenty of returning talent and the team adds four 4 star prospects (including two redshirts). The Bulldogs will definitely lose their rebounding advantage (they were 12th in rebounding margin a year ago) and rim protection (38th in blocks) with the departure of Williams-Goss and the seven footers, but 6-9 senior Johnathan Williams (10.2 ppg., 6.4 rpg., 40.0% 3pt.) will provide a strong anchor for the frontcourt and 6-10 sophomore Killian Tillie has the size, skill, and athleticism to eventually emerge as a NBA prospect. 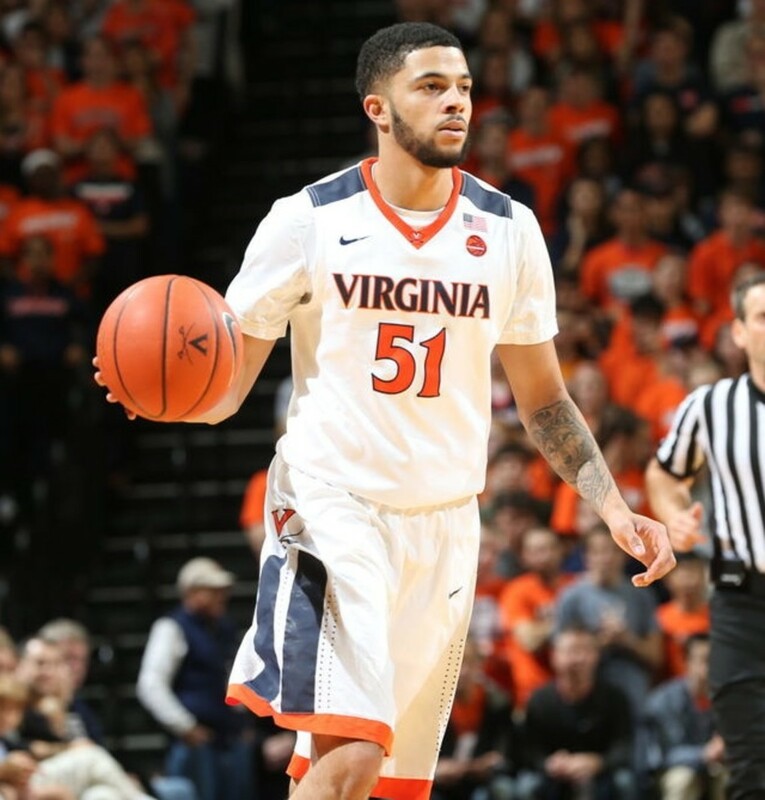 After sliding off the ball for Williams-Goss as a sophomore, Josh Perkins will move back to point guard where he played well as a freshman (10.1 ppg., 4.1 apg., 37.8% 3pt. two years ago); along with Silas Melson (7.2 ppg., 39.1% 3pt.) hoping for a big senior year and several dangerous shooters among the newcomers, the offense should remain reasonably efficient - though not to the level of last year's team. 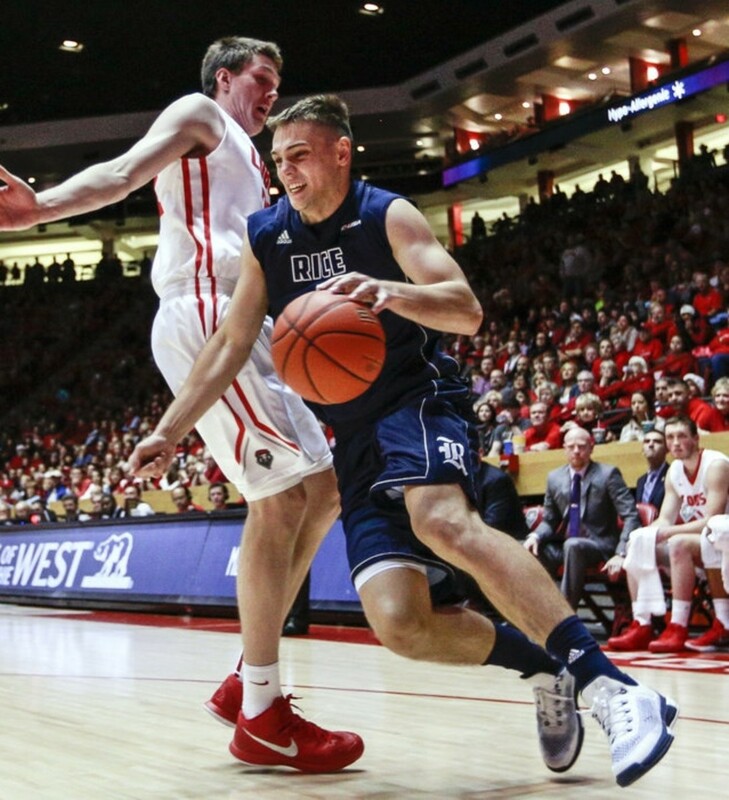 Despite the youth movement, winning the automatic bid from the WCC might actually be easier this year with the graduation of Joe Rahon and early NBA entrance of Eric Mika serving as major blows to St. Mary's and BYU respectively, and there is certainly enough talent for Mark Few to take the Bulldogs to the NCAA Round of 32 for the 10th consecutive season. 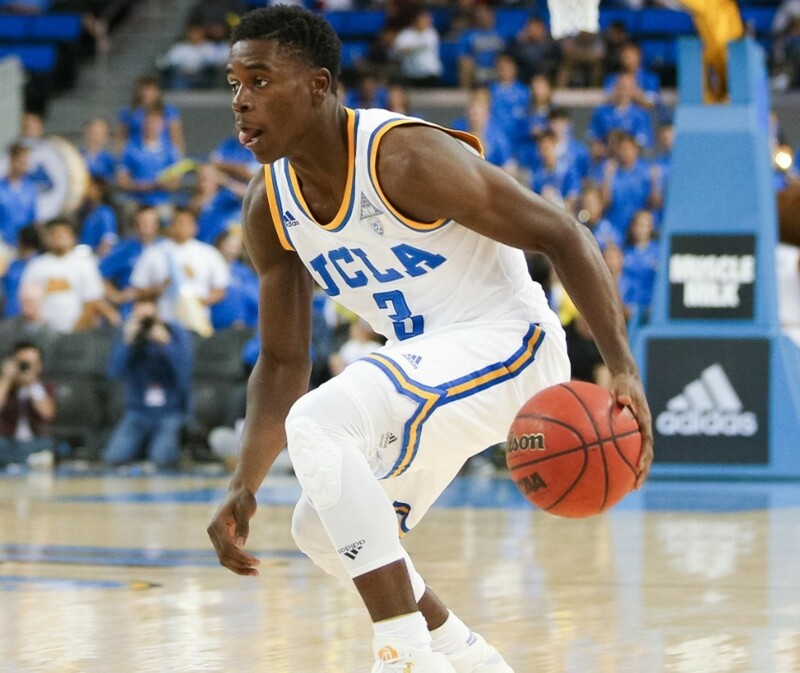 Aaron Holiday suddenly finds himself as the big name point guard at UCLA. UCLA faces a major roster overhaul following the departure of a supremely talented group that likely underachieved under Alford. Another loaded recruiting class will allow the Bruins to stay competitive, but it likely doesn't contain anyone as bizarrely NBA ready as Lonzo Ball and T.J. Leaf. It does, however, include a top 30 point guard in Jaylen Hands that can be paired with junior Aaron Holiday (12.3 ppg., 4.4 apg., 41.1% 3pt.) to again provide a reasonably efficient offensive attack (although not to the level of last year's team, when UCLA was 1st in assist to turnover ratio and overall fg% and 4th in 3pt.%). There won't be a stretch four, but between bulky top 30 recruit Cody Riley and senior Thomas Welsh (10.8 ppg., 8.7 rpg.) UCLA should continue to compete on the boards as well (66th in rebound margin). Three point shooting will no longer be a strength beyond the starting backcourt, but UCLA should still have enough talent to return to the NCAA Tournament. Avery Johnson continues to stockpile talent in his third year at Alabama, but to this point the only results have been two first round NIT exits. The team defends and rebounds extremely well (25th in fg% defense, 31st in rebounding margin), but despite the personnel available the offense has been horrendous (272nd in overall fg%, 315th behind the arc, and 308th in assist to turnover ratio; the lack of offensive efficiency is particularly interesting for a team coached by a former pass-first NBA point guard). The arrival of a top 10 point guard in Collin Sexton should help, although he's very much a score first lead guard that isn't going to spend much time setting up his teammates. Still, Braxton Key (12.0 ppg., 5.7 rpg.) and Dazon Ingram (10.6 ppg., 4.5 rpg., 42.9% 3pt. ), the best players on last year's team, should improve as sophomores, and with Sexton and fellow 5 star recruit John Petty on board the Tide will at least know where points are likely to come from. Defense should remain a strength with the possibility that 6-11 Ohio State transfer Daniel Giddens, a solid shot blocker, will make it even better, so this could be the year the Tide find their way back to the NCAA Tournament. Casey Benson will get a chance to run the show in the Big Dance if he can help lead the Antelopes to an automatic bid. The Antelopes aren't likely to crack the top 25 this year, but coach “Thunder Dan" Majerle has put them in position to represent the WAC in their first year of NCAA Division I Tournament eligibility, which is no small task. Grand Canyon returns first team All-WAC senior Josh Braun (17.5 ppg., 4.6 rpg., 41.6% 3pt. ), junior WAC All-Defensive team wing Gerard Martin, and burly, active junior power forward Keonta Vernon (9.3 ppg., 7.0 rpg. 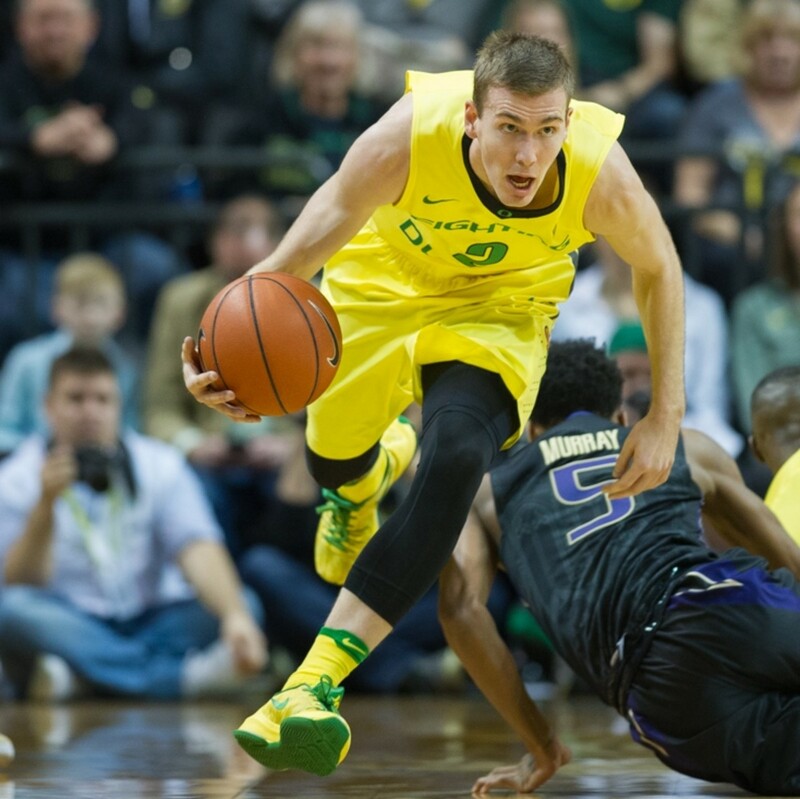 ), while adding Oregon graduate transfer Casey Benson to take over for DeWayne Russell at point guard. Majerle also landed skilled 6-10 Latvian import Roberts Blumbergs, a 4 star recruit and accomplished international player sought after by several power conference teams. Dana Altman faced an unexpectedly comprehensive rebuild following the Ducks Final Four appearance last season, and he was somehow able to recover with a talented new roster with very little prep time. That recovery includes top 15 recruit Troy Brown, a 6-6 player with point guard skills capable of playing 3 positions that didn't commit until the late signing period; two of the best graduate transfers available in guard Elijah Brown from New Mexico (18.8 ppg., 5.2 rpg., 3.1 apg.) and forward Mikyle McIntosh (12.5 ppg., 5.6 rpg., 34.8% 3pt.) from Illinois St.; and Paul White, a former top 40 recruit that was actually on the roster last season as a transfer from Georgetown. Altman does return his starting point guard from last season in Payton Pritchard (7.4 ppg., 3.4 rpg., 3.6 apg., 35.0% 3pt. ), and he will also have three young former top 100 recruits available to fill out his rotation. There will definitely be a falloff at the defensive end without Jordan Bell, who was the best defensive player in the country last year, and Chris Boucher to protect the rim, so Altman can hardly be expected to return to the Final Four, but if a rebuild is forthcoming, that probably won't happen this year either. Chris Mullin had never coached before taking over at St. John's; understandably, year 2 went much better than year one, when the Red Storm went 8-24 overall and 1-17 in the Big East. This year, the team will feature one of the most prolific backcourts in the nation with sophomores Shamorie Ponds (17.4 ppg., 4.4 rpg., 3.1 apg., 2.1 spg., 37.5% 3pt%) and Marcus LoVett (15.9 ppg., 3.8 apg., 38.2% 3pt. ), and should have little trouble putting up points. Mullin also adds two potential impact transfers in Justin Simon, a top 20 recruit that produced very little in a year at Arizona, and Marvin Clark Jr., a capable rebounder and three point shooter from Michigan St.. Beyond the rim protection provided by Tariq Owens (5.2 rpg., 2.2 bpg.) and Kassoum Yakwe (1.9 bpg. ), the Red Storm offer very little resistance at the defensive end (282nd in fg% defense, 300th in 3pt.% defense, and 314th in rebounding margin), almost to the point that games inadvertently resemble something Paul Westhead would reside over, which at the very least makes the team interesting to watch. If St. John's can muster any type of defensive effort, then they have the talent to be an NCAA Tournament team; if they can't, it's possible Mullin shouldn't be the head coach of a major college program. Departures: Brandon Parrish (5.9 ppg., 36.8% 3pt.) and Karviar Shepherd graduated. TCU could break into the top 25 at some point during the season, but more important is the very real possibility that Jamie Dixon will take the school to the NCAA Tournament for the first time in twenty years (that was a Billy Tubbs team) in just his second year at the school. The Horned Frogs closed out the season strong by winning the NIT Title and return most of their production from a year ago, including 2nd team All-Big 12 and Big 12 All-Defensive Team member Vladimir Brodziansky (14.1 ppg., 5.7 rpg., 2.1 bpg., 36.7% 3pt.) and aggressive do-everything forward Kenrich Williams (11.4 ppg., 9.7 rpg., 36.3% 3pt.). Jaylen Fisher (9.9 ppg., 4.0 apg., 38.0% 3pt.) and Desmond Bane (7.1 ppg., 38.0% 3pt.) should be even better as sophomores, and Dixon adds two 4 star recruits to replace Parrish and Shepherd. 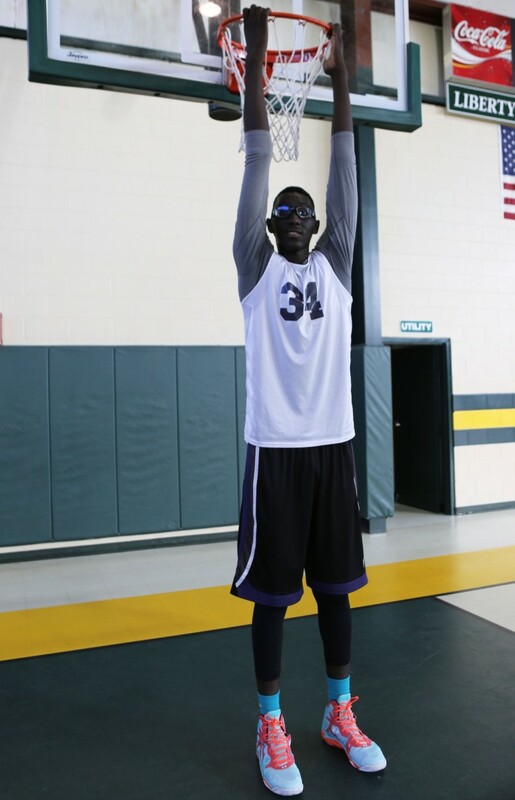 Tacko Fall is large, reasonably mobile, and improving. Johnny Dawkins adds two highly regarded transfers to three returning major contributors including second team All-AAC point guard B.J. Taylor (17.4 ppg., 4.0 rpg., 3.5 apg., 34.0% 3pt.) and 7-6 Tacko Fall (10.9 ppg., 9.5 rpg., 2.6 bpg. ), the tallest player in Division I. Fall is the best college player of his size since Shawn Bradley; if he continues to develop as a post scoring threat and his teammates are able to take advantage of collapsing defenses, Dawkins could take a team to the NCAA Tournament for the second time in his career. Darius Thompson hasn't had many opportunities to play point guard since his freshman year at Tennessee, but he should prove to be one of the best in Conference USA. Rick Stansbury's accumulation of talent in just his second year at Western Kentucky was set to rival what Cuonzo Martin has put together in his first year at Missouri until the bizarre Mitchell Robinson situation cost him his top recruit. However, that class still includes a top 50 prospect in 6-5 guard Josh Anderson and an additional 4 star wing. More importantly, a collection of four highly regarded transfers is led by Darius Thompson (6.2 ppg., 35.1% 3pt. ), who should be able to return to the point guard position he played as a freshman at Tennessee after being relegated to a 3 and D wing at Virginia. The Hilltoppers will also feature a returning star in 2nd team All-Conference USA forward Justin Johnson (14.5 ppg., 9.4 rpg.,38.8% 3pt. ), and even without Robinson the frontcourt will be able to compete with power conference teams in the frontcourt with the additions of former Syracuse top 70 recruit Moustapha Diagne and Kansas transfer Dwight Coleby. Stansbury never advanced beyond the second round of the NCAA Tournament in his 14 years at Mississippi St., but with SEC caliber talent in Conference USA he should have a chance to at least advance that far once more. 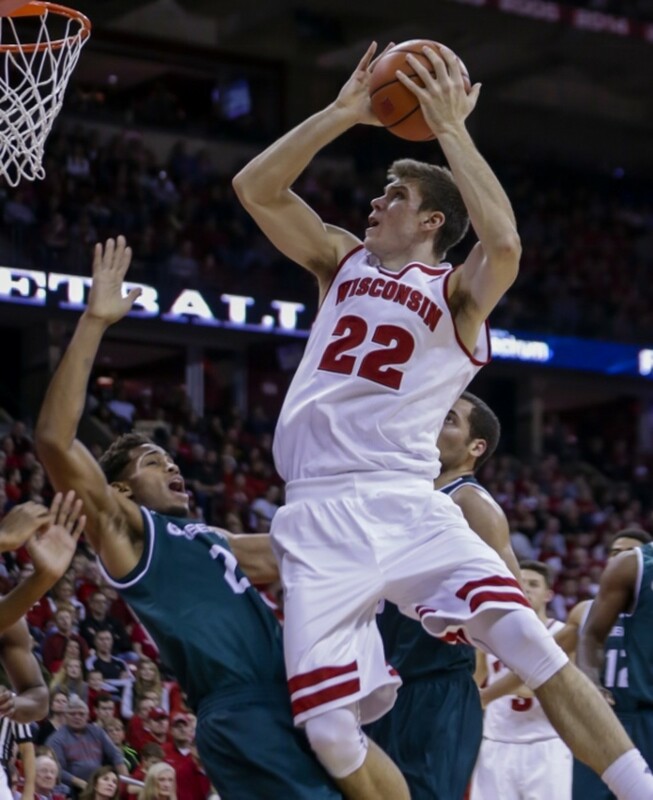 Ethan Happ will notice a few new faces in the huddle for Wisconsin. The Badgers lost the vast majority of their production through graduation - except first team All-Big 10 and Big 10 All-Defensive team center Ethan Happ (14.0 ppg., 9.0 rpg.). He will be joined in the frontcourt by 6-10 Nathan Reuvers, a top 80 recruit that should complement Happ perfectly with his ability to stretch the floor. The Badgers will lack experience, but they won't be without talent in the backcourt. This may be the year that Brevin Pritzl, a former top 70 recruit, gets his chance, while D'Mitrik Trice (5.6 ppg., 41.8% 3pt.) played well as a freshman and will certainly be ready for a bigger role. The pair should be supplemented by top 100 point guard Brad Davison. Expectations won't be quite as high for such a young team, but Wisconsin has been one of the most consistently successful programs in college basketball over the last two decades; they take care of the basketball, defend inside the arc and rebound, and they should still have the personnel to do all of those things and continue their streak of 19 consecutive NCAA Tournament appearances. St. Mary's competes at the the defensive end, but the real strength of the team the past two years has been their offensive efficiency. A big part of that has been having two of the best passing point guards in the country, with both Emmett Naar and Joe Rahon ranking among the top 40 players in assist both seasons. While Cullen Neal will be able to replace Rahon's shooting, his playmaking ability will be missed. St. Mary's is quite simply going to be easier to defend with one high end point guard on the court instead of two. With the WCC unlikely to send two teams to the NCAA Tournament, they're more likely to be an NIT team this year. Losing 2 of your top 3 scorers is kind of a big deal for a small conference team that only had 3 players average over 6 points per game. Jacorey Williams and Reggie Upshaw were their frontcourt last season, and they gathered nearly half of the team's rebounds between them. The player that was fifth in minutes and scoring and led the team in 3pt percentage, Xavier Habersham, is also gone. They may still compete with Western Kentucky at the top of Conference USA, but Middle Tennessee isn't going to be as dangerous of a team this year. so I saw 3 teams in there that middle TN beat by double digits last year as well as the WKU who I think middle TN beat by 20 plus last year but no middle TN? they have 3 out of the 5 same guys who took them to the second round of the tournament two years in a row returning? how would they not make the list? The "teams of interest" section is not a continuation of rankings, it's an alphabetic listing of a few other teams that, for various reasons, are of interest. St. John's is an interesting team because of their strong offense and extreme disinterest in defense, Grand Canyon U because they may qualify for the NCAA Tournament in their first year of eligibility, and UCF because of Fall and the fact that Dawkins has never reached the NCAA Tournament. Seton Hall is of course expected to be in the NCAA Tournament and will likely be better than several of those teams, but they can't shoot the 3 (236th in 3pt.% last year) and they don't take good care of the basketball (280th in assist to turnover ratio with a top 70 freshman replacing a senior at point guard), so another early exit is a very real possibility. In response to a West Virginia fan, I do expect to see them appear in the NCAA Tournament based on style of play and Huggins' past success, but I'm not including them here because they did lose five major contributors from last year's team and have no recruits likely to make a significant, immediate impact. I certainly expect to see Xavier in the NCAA Tournament, and they may very well be one of the team's I'm underrating. Their Tournament success a year ago was particularly interesting because they started raining 3's after shooting 34% as a team (225th in the country) during the regular season. They lost 7 of their last 10 in the regular season without Sumner, but Scruggs could be that good as a freshman. I will of course be wrong about a lot of this; they are preseason rankings, and none of these teams have played a game. am I missing something? I dont believe i saw Xavier and I am trying to think of any significant part they lost that has not been replaced.